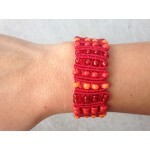 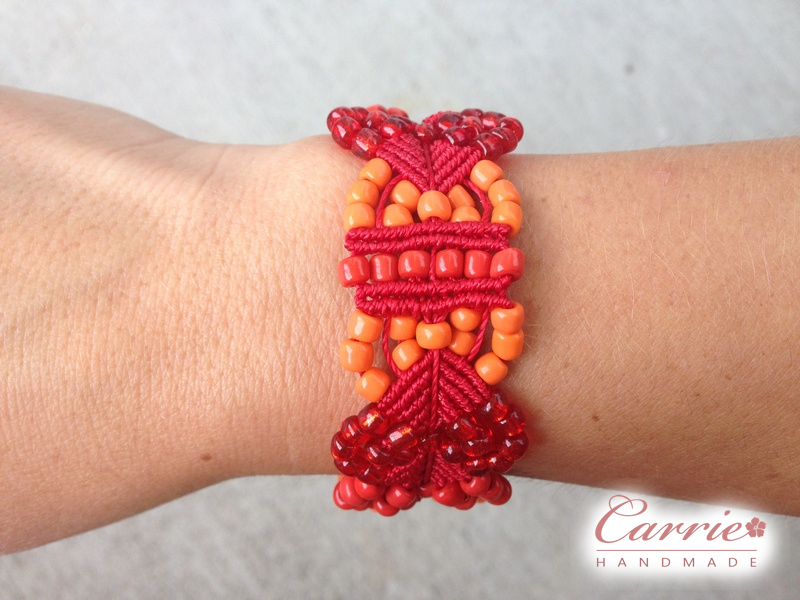 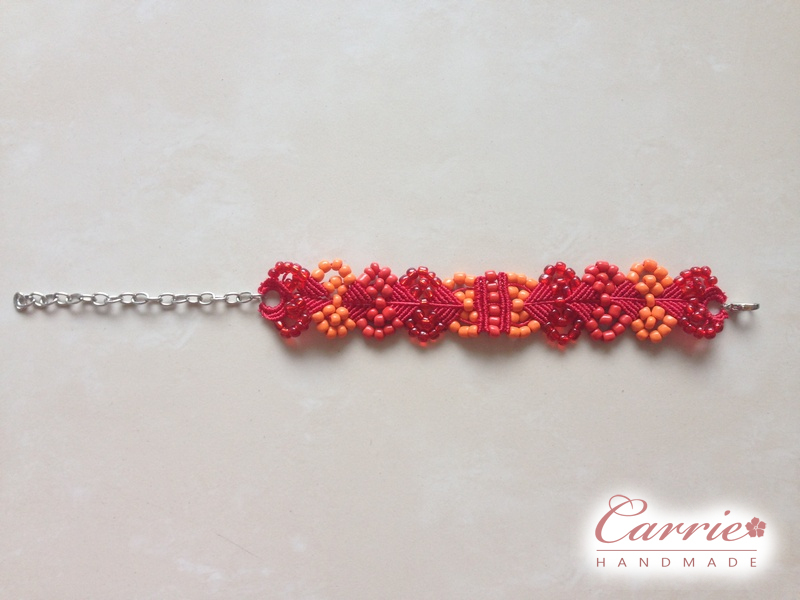 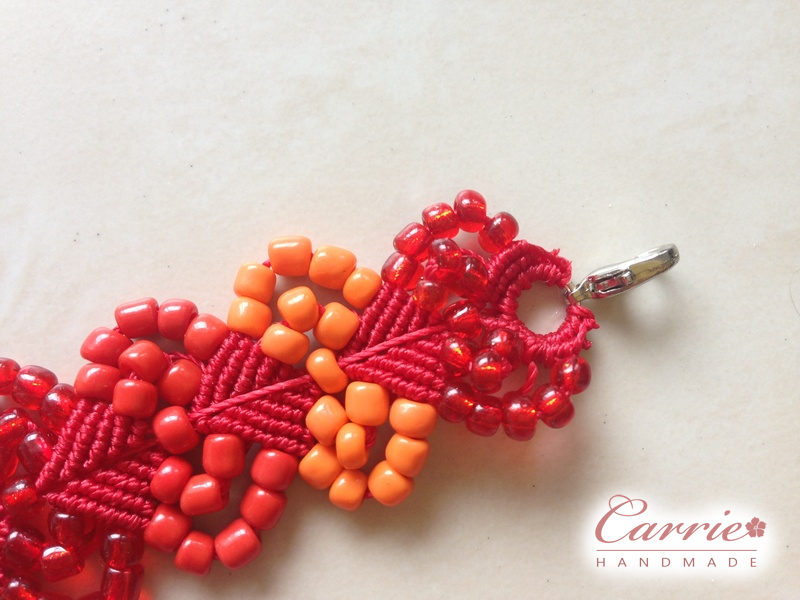 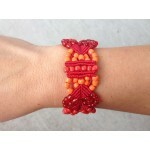 A beautiful handmade macrame bracelet with red and orange beads. 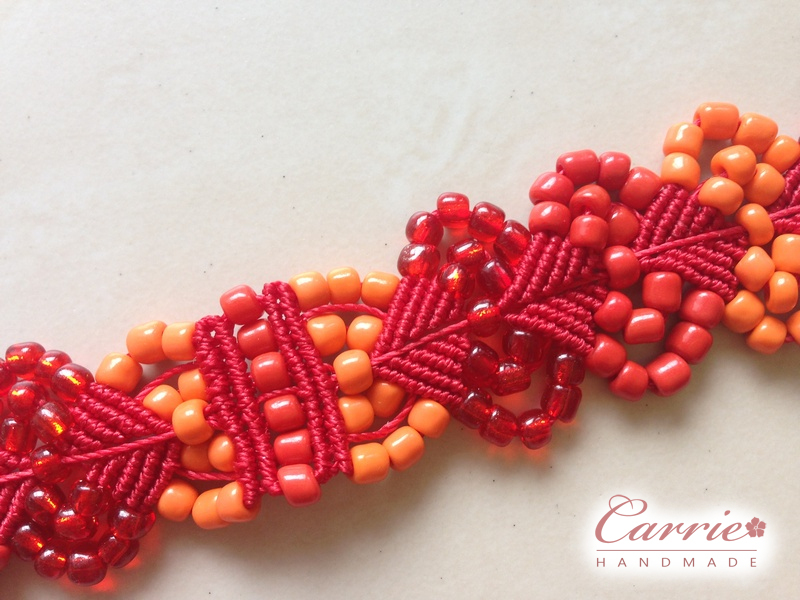 Materials: S-Lon red bead cord and red and orange beads. 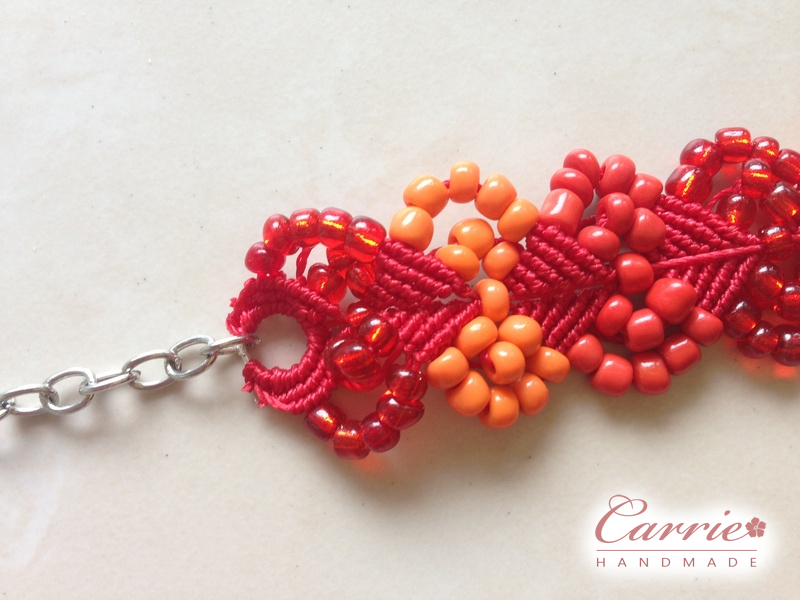 Adjustable lenght: 6 1/4 inches + 3.5 inches of chain. 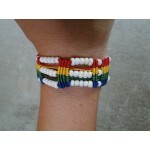 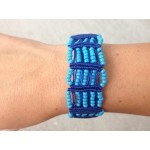 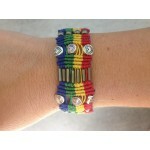 A beautiful handmade rainbow macrame bracelet with silver-colored beads.Materials: S-Lon bead cord a..